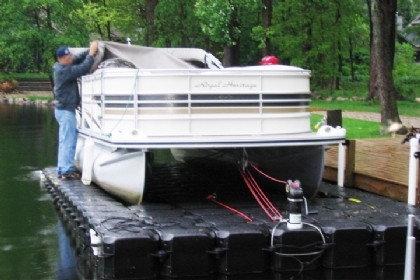 Our floating boat lifts are the safest, most user-friendly and convenient lifts available. Our clever lifting design is maintenance-free, so you can have more fun on the boat, and less time maintaining your equipment! 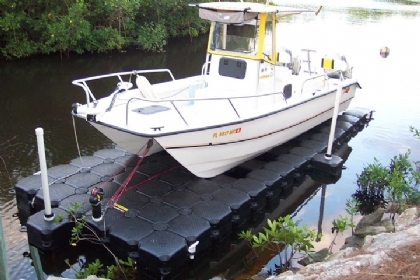 JetDock’s Multi-Hull Boat Lifts are for Pontoon Boats and Catamarans that get your watercraft completely out of the water, have no moving parts and require no electricity to operate. 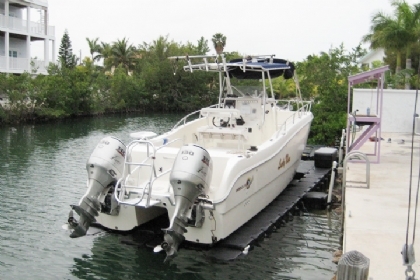 Our boat lifts are good for inboard, inboard and outboard as well as jet drive. They are designed for watercrafts with multiple hulls up to 30’ and 8000 lbs including catamarans, pontoon boats and tri hull crafts. 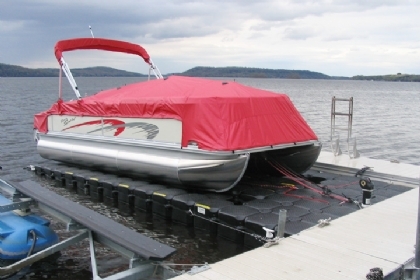 JetDock boat lifts can be used in all types of water levels, with or without an existing structure. 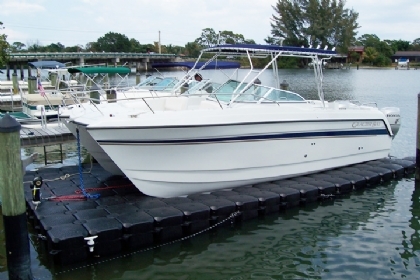 They are portable, expandable, maintenance free, and have a limited lifetime warranty, just like our other boat lifts. Choose a multi-hull boat type below to find out which boat lift fits your watercraft the best.. With our pontoon boat lifts and catamaran lifts, we include everything you need for easy installation, including winch, fasteners, launch systems, structural beams, and more. Air assisted packages can be added to our systems for pontoon boats and catamarans for overall ease of use. For more information, or help ordering, we have representatives waiting to help you. Give us a call at 1-800-538-3625.